Camilla Seecharan sister of swine flu victim Nicole Seecharan speaks about her sister during an interview with CNC3. 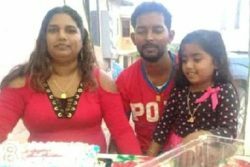 (Trinidad Guardian) A Tabaquite woman has died from swine flu. Rel­a­tives said med­ical of­fi­cials on­ly con­firmed Nicole Seecha­ran con­tract­ed the dead­ly H1 N1 virus days af­ter her death. Now those who were in im­me­di­ate con­tact with the for­mer taxi dri­ver are be­ing asked to take nec­es­sary pre­cau­tions. 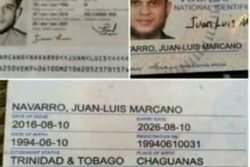 Seecha­ran’s death oc­curred even be­fore Min­is­ter of Health Ter­rance Deyals­ingh con­firmed that the dead­ly virus was back in the coun­try in late De­cem­ber. 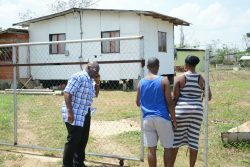 Dur­ing a re­cent in­ter­view with Guardian Me­dia, Deyals­ingh said there were 10 cas­es of the H1 N1 virus in the coun­try. How­ev­er, he did not con­firm that there were any re­cent deaths. 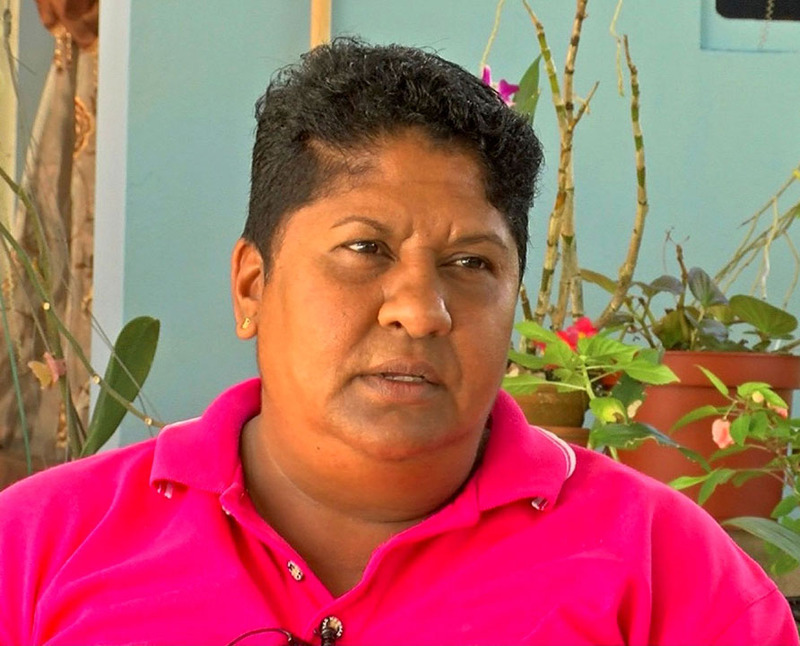 Seecha­ran, 47, main­ly trans­port­ed stu­dents to and from var­i­ous schools in the Tabaquite area dai­ly. It is be­lieved she con­tract­ed the virus while do­ing her job. Guardian Me­dia spoke to her sis­ter, Camil­la Seecha­ran, at her home in Tabaquite. She said Nicole first got the flu in mid-No­vem­ber but for some rea­son af­ter it went away it kept com­ing back. On De­cem­ber 5, Nicole went to a pri­vate doc­tor who dis­cov­ered she was a di­a­bet­ic. She again sought that doc­tor’s ad­vice three days lat­er. Af­ter re­al­is­ing there was no change in Nicole’s health, Camil­la de­cid­ed to ad­mit her sis­ter to the San Fer­nan­do Gen­er­al Hos­pi­tal on De­cem­ber 9. She said the fol­low­ing day Nicole was ad­mit­ted to the In­ten­sive Care Unit and two days lat­er Nicole died. “They put on the death cer­tifi­cate is car­diac ar­rest, she was an asth­mat­ic and a di­a­bet­ic,” Camil­la said. Nicole’s fu­ner­al took place on De­cem­ber 14. “When the body came they say don’t let no one touch the body,” Camil­la added. A re­quest which Camil­la says got her cu­ri­ous. Then about a week lat­er, Camil­la said she re­ceived a call from the Head Nurse at the Tabaquite Health Cen­tre re­quest­ing a meet­ing. How­ev­er, it did not oc­cur that day. She is up­set that the San Fer­nan­do Gen­er­al Hos­pi­tal did not in­form them of the re­al rea­son for her sis­ter’s death. “They nev­er told us that be­cause even when Nicole died there that morn­ing and they al­lowed us to go to vis­it and I hold her and hug her and cried. They didn’t tell me don’t go near her. Don’t touch the pa­tient. They did not do that,” Camil­la said. Guardian Me­dia con­tact­ed Min­is­ter of Health Ter­rance Deyals­ingh who di­rect­ed us the Chief Med­ical Of­fi­cer Dr Roshan Paras­ram. Calls to Dr Paras­ram on his cell phone went unan­swered. Re­cent­ly the Health Min­is­ter ap­pealed to cit­i­zens to get the in­fluen­za vac­cine to pre­vent pos­si­ble hos­pi­tal­i­sa­tion or even death dur­ing the flu sea­son. The sea­son runs from Oc­to­ber each year to May the fol­low­ing year. Though the vac­cine is avail­able free of charge, health of­fi­cials said on­ly a few peo­ple availed them­selves of it.